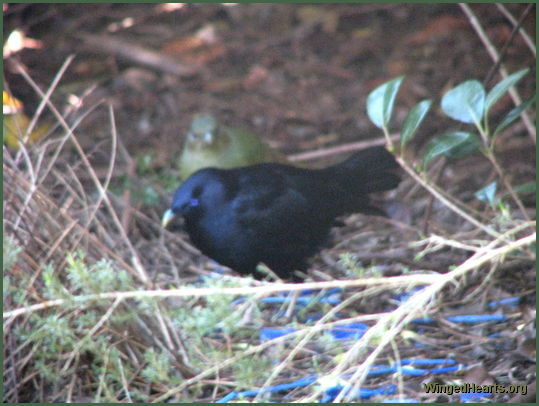 Blue straws, milk bottle caps and any other blue coloured objects are a source of great joy to the bowerbirds who like to collect these valuables to decorate their bower. 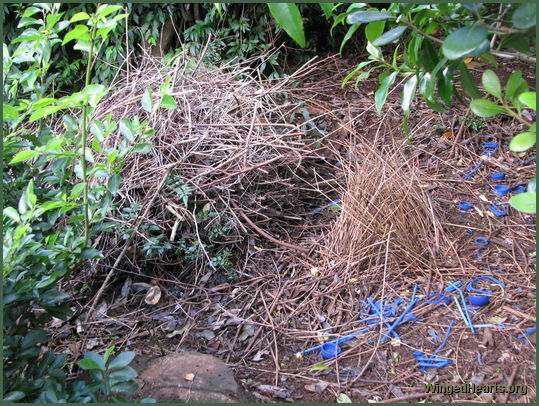 The female bird does not nest in the bower, but the male bird builds it to demonstrate his housebuilding abilities to prospective females. 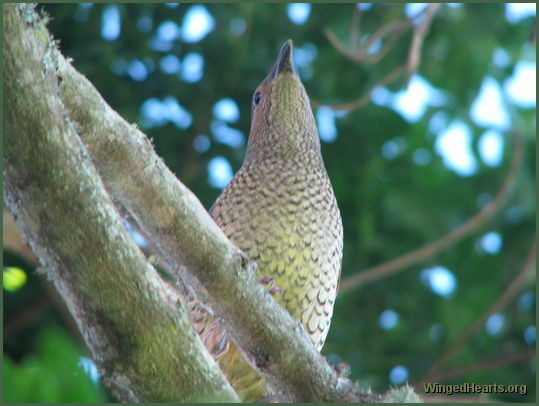 The female bowerbird is a mottled green, but her eyes are a lovely blue and the male tries to match them in all the 'adornings' he tries to find for their bower. Ron actually got a video of them wooing which you can see here. 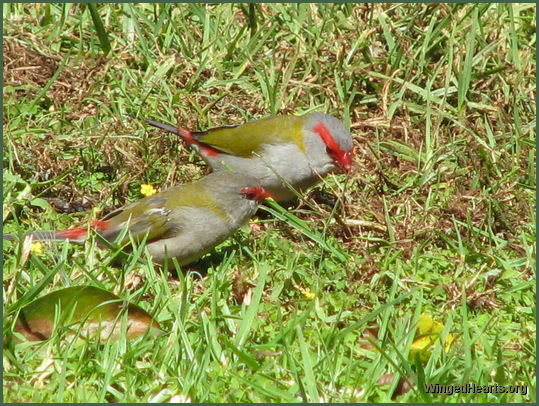 The Red Brow Finches below are tiny birds with an amazingly loud voice. They are as pretty as they are cute. 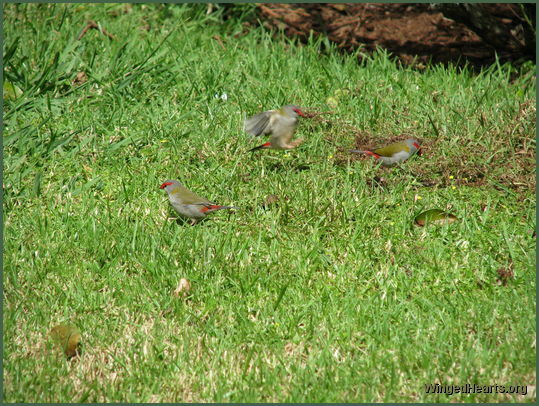 From a distance they can be mistaken for autumn leaves fluttering on the ground.